Myth: You're allergic to flowers. Truth: You're probably allergic to trees. Stopping to smell the roses is fine advice but if you find the very thought of those pretty blooms sneeze-inducing — you may turn your nose up at the bushes. You might not need to, according to New York-based plastic surgeon, Dr. Ryan Neinstein. He says that colorful flowers, like roses, daffodils and sunflowers, tend to be heavier and stickier plants, which doesn't allow them to blow their pollen into the wind. Instead, he says the culprits that cause those watery eyes tend to be trees, weeds and grass. If you want to plant your garden, watch it grow and not be attacked by allergies, he suggests choosing flowers with low pollen and allergic potential. 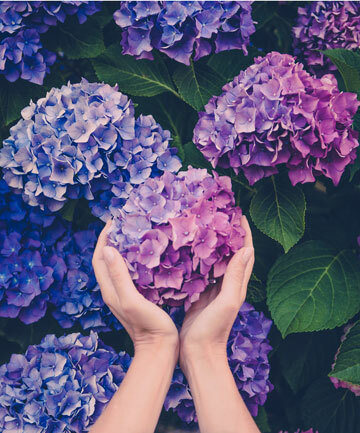 "The hydrangea plant is not only beautiful and comes in a variety of colors, but it is also a great choice for allergy sufferers. Lovers will marvel at the gorgeous pink, blue, white and purple flower heads that are naturally found in the northern climates." SEE NEXT PAGE: Myth: Seasonal allergies are just a nuisance, they won't impact your long-term health.